Service & Restoration of Classic Cars | Vantage Motorworks Inc.
Jorge Mateu, our Service Director with over 25 years of classic car restoration experience, oversees the daily operations of the Mechanical, Wood, Upholstery and Body shops. Painstaking efforts are taken to restore classic Bentleys and Rolls-Royce’s to their original specifications. 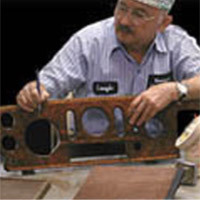 Under special circumstances, replacement parts are handmade to replace those no longer produced or available through automobile restoration markets. If you’re contemplating the acquisition of an un-compromised source of pleasure, we’d appreciate the opportunity to serve you. 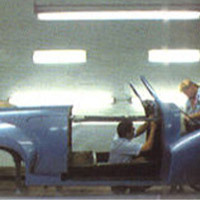 The exceptional quality of our automobile restoration and classic automobiles is highly regarded worldwide and their pricing in light of condition and rarity is correct. 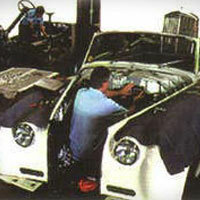 Secure, Alarmed, Indoor Storage is also available along with full maintenance and exceptional car restoration service. Your inquiries, even if just to share enthusiasms, are most welcome.